Peppermint plant is a hybrid min of water mint and spearmint. This useful plant is cultivated from Europe to Middle East spreading the cultivation all around the world. Peppermint oil contains high amount of concentrated natural pesticide mainly known as pulegone and Mentone. Researchers have believed peppermint oil to be useful in various reasons right from enhancing the memory power up to making use in aromatherapy. However, besides all these uses one of the important uses of peppermint oil is using them for hair growth. In this post we would discuss about the best ways to use Peppermint oil for hair growth and its benefits. 1. Promotes Hair Growth: Peppermint oil has stimulating properties which helps to penetrate deep in the scalp and stimulate the tiny follicles of hair. It helps to increase the blood circulation in the scalp, which helps to stimulate the growth of hair. 2. Strengthens the Roots: Peppermint oil being rich in pulegone and Mentone helps to strengthen the hair roots which further helps in adding hair loss. You can apply peppermint oil directly on the scalp, or apply it with the help of a cotton ball. Due to little thick consistency, they can also be mixed with coconut oil, and then applied over scalp. 3. Helps to Kill the Lice: The aroma of peppermint is really refreshing and fantastic, which is usually used to rejuvenate dull brains and boost brain functioning of human. But these aromas start suffocating the tics and lice in your head and die eventually. Apply peppermint oil can create an unfavorable condition for tics and lice to stay on scalp, thus kills them. 4. 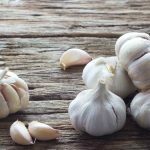 Stop Hair Fall: In addition to strengthening the hair follicles and promoting hair growth, it also contributes in combats the serious problem of hair fall. You can thoroughly give scalp massage with peppermint oil and allow it to be on scalp At least for 24 hours. Oil helps to deliver essential nutrients and proteins that are essential for hair growth. 5. Helps to Treat Scalp Infection: Along with nutrients and proteins, peppermint oil is also possesses anti inflammatory and anti bacterial property which helps to get rid of scalp infection. You can simply rub some peppermint oil on your scalp with the help of cotton balls and leave them for a day into scalp. Allying peppermint oil on every alternate day can help to treat the infections over scalp. You can make your own shampoo by adding few drops of peppermint oil to it. Also remember to apply the shampoo and leave the scalp undisturbed for At least half an hour. Peppermint oil helps to reactivate the dead cells on the scalp and would help to boost the hair growth. To combat the problem of dandruff in addiction to hair growth, you can use peppermint oil in different ways. Just add 4 drops of peppermint oil to 8 ounces of water and mix them well. Now take a cotton ball and apply it on the scalp. You can also use an expired toothbrush to apply thoroughly in the scalp. You can mix 2 teaspoon of coconut oil to 1 spoon of peppermint oil. Now mix both the oil with 6 teaspoon of almond oil and massage the scalp using this solution. 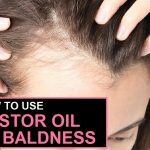 Make sure while applying the oil, you part the hair and then apply the oil. This will allow the oil to penetrate deep into the scalp. If you need to stop hair fall, you can follow a simple recipe using peppermint oil. Take 2 teaspoons of coconut oil, 1 spoon of castor oil and 1 spoon of peppermint oil. 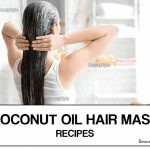 Now add these three oils together and if possible add vitamin E oil to strengthen the hair. Do massage to your scalp thoroughly and follow the procedure twice a week. Continue using this for a month. Olive oil with peppermint oil can help to naturally condition the hair and also boost the hair growth. Mix 3 teaspoon of olive oil with 3 teaspoon of peppermint oil and mix them thoroughly. Apply this on the scalp and massage methodically. Rubbing this mixture towards the ends will help to treat the problem of split ends. Wait for 20 minutes and then you can wash off with the help of shampoo. Mixing equal portion of peppermint oil with castor oil can help to treat the scalp infections and also boost the growth. Castor oil posses healing and rejuvenating properties, which helps to re-invigorating the scalp and promotes hair growth. Another best remedy to use peppermint oil for hair re-growth is mixing it with aloe Vera gel. For this procedure, you need to take a fresh aloe Vera plant first and then carefully scoop out the gel like substance from it. You need to do this with two fresh strands of aloe Vera plant. Now, crush the gel with the help of folk or knife. Since, it is gel it would be hard to handle the gel and crush it. So, you can blend them in a grinder. Now mix 1 teaspoon of peppermint oil to the aloe Vera gel and apply on the scalp. Let the mixture stay on the scalp for half an hour, and then you can wash it off. However, if possible avoid using shampoo for that particular day, as aloe Vera will naturally make your hair smooth and peppermint oil requires little time to sip into the scalp. Apply this mixture, thrice in week and continue for two months to observe difference. You will surely be amazed after using peppermint oil on the scalp for hair re-growth. After reading this post, you may wonder why peppermint oil is diluted in every step and why can’t we use them directly over scalp. Well, answer to this is applying concentrated peppermint oil can heat your scalp and also may lead to itching, if at all it does not suites the scalp. So, it is always better to dilute it with an alternative that is user friendly. 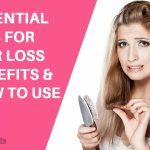 How To Use Folic Acid For Hair Growth? 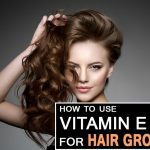 Is Vitamin E oil Good for Hair Growth? 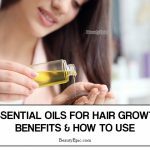 Peppermint oil is extremely useful for hair growth and in this post, we would discuss about the best ways to use peppermint oil for hair growth.